DRG therapy can be especially helpful for patients who have pain limited to a specific area. One of the benefits of the Dorsal Root Ganglion Treatment (DRG) neurostimulation system is that you can be fitted with a temporary device that allows you to determine its effectiveness for your pain prior to undergoing an implant. DRG stimulation is an option for patients whose pain is concentrated in specific areas such as the foot, knee, hip or groin. 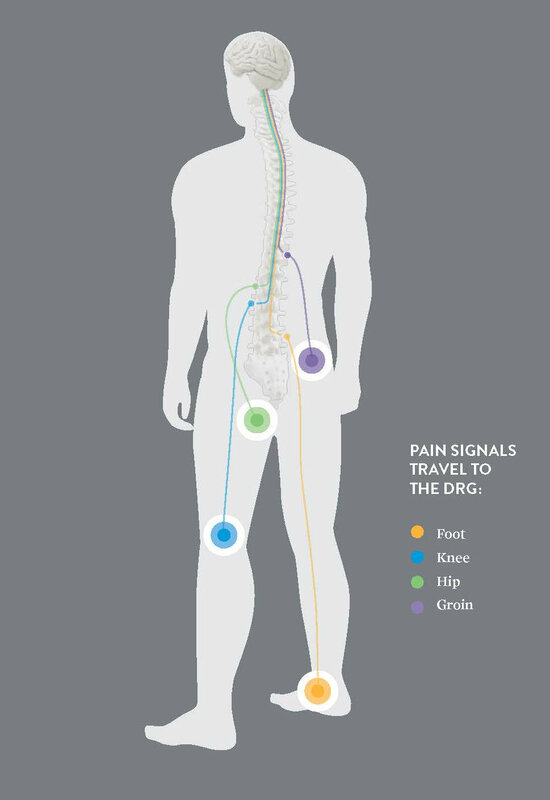 DRG stimulation has the unique ability to directly target the area where the pain occurs. DRG STIMULATION HAS SHOWN TO BE A SUPERIOR, EFFECTIVE AND SAFE THERAPY OPTION FOR FOCAL CHRONIC INTRACTABLE PAIN PATIENTS.